A man was tasered and arrested on Sunday night aboard an American Airlines flight departing from Miami after allegedly touching another passenger inappropriately, according Miami-Dade police. 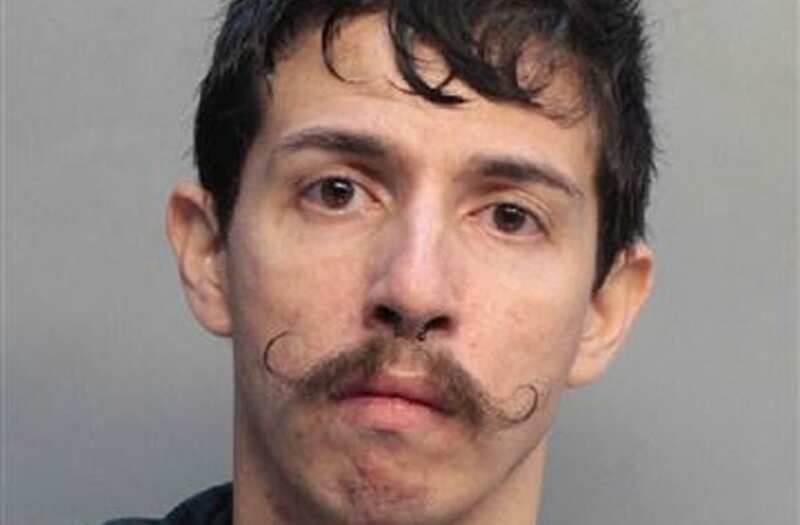 Prior to takeoff, the boyfriend of a woman on the plane contacted authorities after he said Jacob A. Garcia began touching her, Miami-Dade Police Sgt. Lazaro Llerena told NBC News. The flight, which was bound for Chicago, was still at the gate when crew members began asking Garcia to deplane. "American began the process of deplaning the entire aircraft. During that process, a physical altercation between the same two passengers took place. Once law enforcement was on the aircraft, the passenger then became combative with the officers from the Miami-Dade Police Department," American Airlines said in a statement. In a video taken by another passenger, which has been verified by American Airlines, Garcia is seen being held back by three police officers while asking, "What is the reason you're removing me from this plane?" A voice from behind the camera say, "Well, you just assaulted a lady, for one." One officer in the video struggles with Garcia, gripping him around the neck, in an attempt to control him while two other officers work on cuffing him. It appears only one cuff is on Garcia's hand and he continues to struggle with the police, as one officer warns "don't fight me." Garcia continues to resist as the officer who warned Garcia reaches for a taser on his belt. A voice behind the camera warns those in the area to back up. The taser doesn't appear to affect Garcia — at first — who calls the officer "a baby" and tried to grab the device out of the officers hand. Eventually, the taser does appear effective and officers were able to take Garcia into custody. Llerena said that during the struggle with officers, Garcia attempted to reach for one of the officer's gun but was unable to remove it from the holster. "We will cooperate with the Miami-Dade Police Department on this matter. The flight, which was scheduled to depart at 9:30 p.m. ET, departed at 10:34 p.m. ET with all remaining passengers. We thank our crews and airport customer service team for their excellent work in this situation," American Airlines said in a statement. Garcia was later brought to Turner Guilford Knight Correctional Center where he was charged with battery, depriving and officer of a firearm, criminal mischief and disorderly conduct, officials said. It was not immediately clear if Garcia has an attorney.